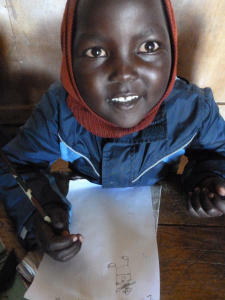 A student in the Pre-Unit, or preschoo,l class at Mwicwiri Primary School in Kenya draws pictures with donated paper and pens. For many in rural Africa, education provides the only real escape from crippling poverty and the endless dependency on foreign aid. 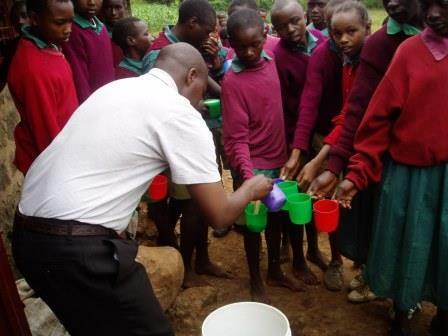 For the last two years, the African International Foundation for Educational Excellence has been working to improve educational standards in rural villages in Kenya. Here to discuss training teachers and improving education in rural parts of Kenya is Dr. Peter Gitau, president of the African International Foundation for Educational Excellence. 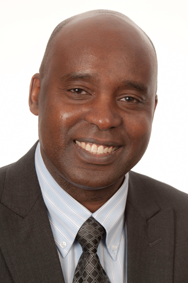 Dr. Gitau is also Vice President for Student Affairs at Northern Kentucky University.